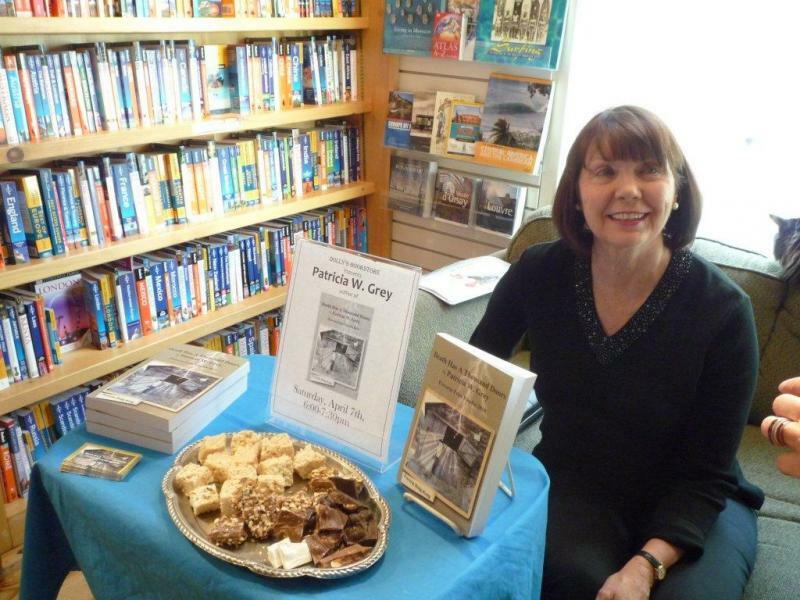 My Business - GREY, PATRICIA W.
PATRICIA W. GREY was raised in Perth, Western Australia. In 1976 she and her husband established the first underwater pearl farm in Australia, pioneering unique growing methods for pearls. They retired in 1996 and moved to Andorra. 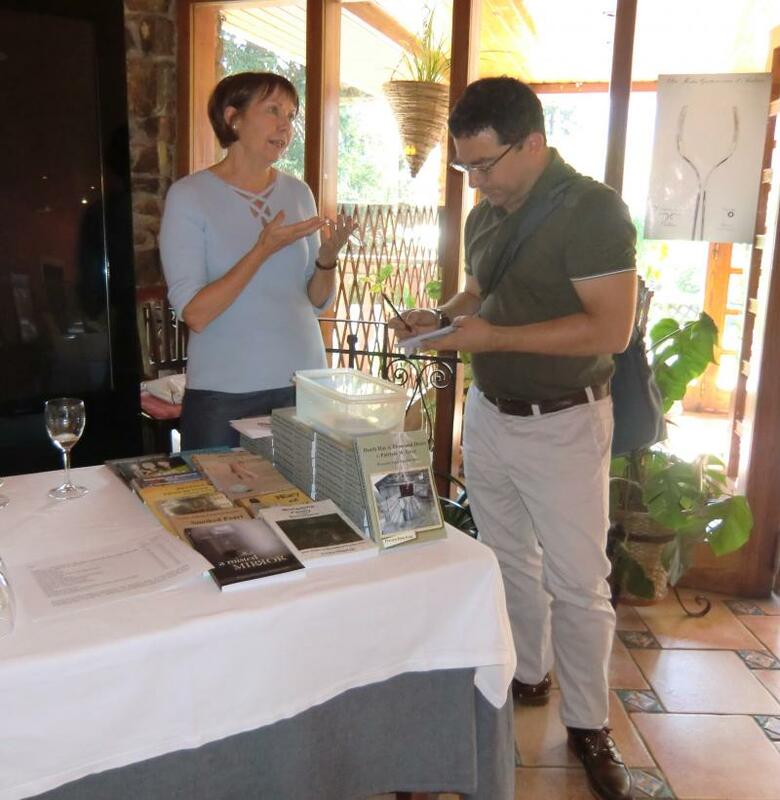 As well as studying to speak Spanish more fluently, Patricia has recently returned to her first love of writing and is a member of the Andorran Writers' Circle. Death Has A Thousand Doors, her first novel, a Finalist in the Proverse Prize Competition, 2010, was published on 22 November 2011. Patricia W. Grey, Proverse Prize Finalist in 2010, signed copies of her well-reviewed book, Death Has A Thousand Doors (set in Andorra) at the ceremony to announce the LongList for 2012 entries, held in Andorra, September 2012. 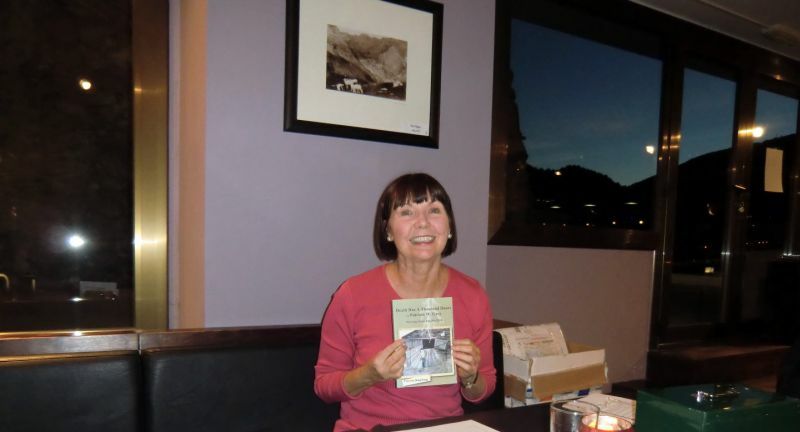 Patricia W. Grey did a book-signing of her mystery novel, Death Has A Thousand Doors, Proverse, 2011), at Dolly's, Park City, Utah, USA on Saurday, 7 April 2012. See photo below. On 1 December 2011, Grey launched her book in the village of Ordino, high up in the Pyrenees, where much of the action of her novel is set. Well-received by prize-winning Andorran writer, Albert Villaro, the book won notice in a local daily newspaper, Bon Dia, in advance of its Andorra launch. In her PROVERSE INTERVIEW, PATRICIA W. GREY speaks about her then forthcoming (now published) book, Death Has A Thousand Doors. Bon Dia, Principality of Andorra, 1 December 2011, p. 28, Culture page: Literature. Cutting. English ﻿translation ﻿of Cutting.